Builders Sale takes pride in presenting Specialty Access Doors, the ultimate in seamless access to meet specialty requirements. 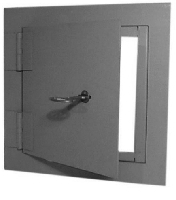 These specialty access doors are designed to simplify accessing ducts and other tough to reach areas. These doors are suitable for mounting in walls and ceilings and they come in many shapes and sizes to respond to virtually every requirement you may ever have. With the provision of opening up to 175°, these specialty access doors truly are your best companion. These doors come with unique piano hinges, immaculate aesthetic appeal, simple installation mechanism, and unparalleled durability. Lightweight components of these specialty access doors come with amazing flexibility of installation and use. We understand the broad spectrum of numerous requirements of safe and secure access to ceilings and walls and therefore, present these featured doors with the goodness of the designing supremacy and premium sophistication. These doors serve you for years to come and truly are the best value for money. Come; get amazed with the versatility, durability, and the perfection of the form and the function at your service with the premium presentation of Specialty Access Doors. 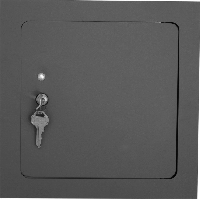 Acudor LT-4000 Aluminum Access Door 10" x 10"
Acudor LT-4000 Aluminum Access Door 12" x 12"
Acudor LT-4000 Aluminum Access Door 14" x 14"
Acudor LT-4000 Aluminum Access Door 16" x 16"
Acudor LT-4000 Aluminum Access Door 18" x 18"
Acudor LT-4000 Aluminum Access Door 24" x 24"
Acudor LT-4000 Aluminum Access Door 24" x 36"
Acudor LT-4000 Aluminum Access Door 24" x 48"
Acudor LT-4000 Aluminum Access Door 30" x 30"
Acudor LT-4000 Aluminum Access Door 36" x 36"
Acudor LT-4000 Aluminum Access Door 36" x 48"
Acudor LT-4000 Aluminum Access Door 48" x 48"
Acudor LT-4000 Aluminum Access Door 60" x 48"
Acudor LT-4000 Aluminum Access Door 72" x 48"
Acudor WD-8000 Walk Through Access Door 24" x 36"
Acudor WD-8000 Walk Through Access Door 24" x 48"
Acudor WD-8000 Walk Through Access Door 24" x 60"
Acudor WD-8000 Walk Through Access Door 24" x 72"
Acudor WD-8000 Walk Through Access Door 30" x 36"
Acudor WD-8000 Walk Through Access Door 30" x 48"
Acudor WD-8000 Walk Through Access Door 30" x 60"
Acudor WD-8000 Walk Through Access Door 30" x 72"
Elmdor SLA12x12 Slammer Access Doors SLA Series 12" x 12"
Elmdor SLA16x16 Slammer Access Doors SLA Series 16" x 16"
Elmdor SLA18x18 Slammer Access Doors SLA Series 18" x 18"
Elmdor SLA24x24 Slammer Access Doors SLA Series 24" x 24"
Elmdor SLA24x36 Slammer Access Doors SLA Series 24" x 36"
Elmdor SLA24x48 Slammer Access Doors SLA Series 24" x 48"
Elmdor SLA36x36 Slammer Access Doors SLA Series 36" x 36"
Elmdor SLA36x48 Slammer Access Doors SLA Series 36" x 48"
Elmdor SLK10x10 Shur-Lok Access Doors SLK Series 10"x 10"
Elmdor SLK12x12 Shur-Lok Access Doors SLK Series 12"x 12"
Elmdor SLK14x14 Shur-Lok Access Doors SLK Series 14"x 14"
Elmdor SLK16x16 Shur-Lok Access Doors SLK Series 16"x 16"
Elmdor SLK18x18 Shur-Lok Access Doors SLK Series 18"x 18"
Elmdor SLK18x24 Shur-Lok Access Doors SLK Series 18"x 24"
Elmdor SLK22x22 Shur-Lok Access Doors SLK Series 22"x 22"
Elmdor SLK24x24 Shur-Lok Access Doors SLK Series 24"x 24"
Elmdor SLK24x30 Shur-Lok Access Doors SLK Series 24"x 30"